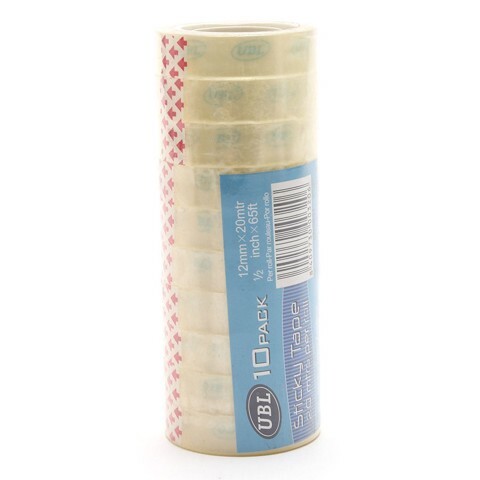 Sticky Tape 20M Roll 10Pk. Ea Roll: 12mm x 20m On 25mm Plastic Core. Clear Tape. Cardboard Core W/White Outer Surface. OPP 40 Micron | Water Acrylic Adhesive. 0 Packaging: Shrink Wrap with Colour Insert.